I am working with Fisher to share Chef Alex Guarnaschelli’s recipes and create my own original recipe using Fisher Nuts and tools they provided. However, my opinions are entirely my own and I have not been paid to publish positive comments. I’ve been adding nuts to more of my cooking in recent months. I love the texture and taste they add and not only to desserts! I’ve been adding them to salads and yogurt. I think I have a slight almond addiction. I love eating them plain and straight out of the bag. I had to stop myself so I’d have some leftover for recipes I had planned to make! Back in December, I tried a few recipes using Fisher Nuts. The Nut Pie was out of this world! If you enjoy pecan pie, try adding a variety of nuts and see what you think. With Spring here, I’m looking for recipes that I can use veggies I buy from our local farmer’s market. 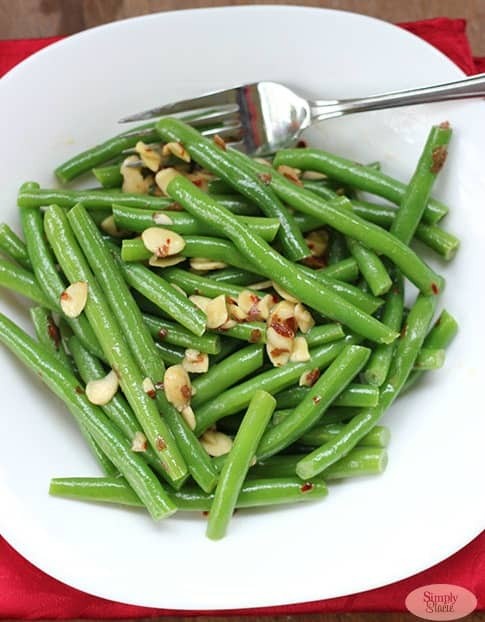 I discovered a simple recipe for Chili Buttered Green Beans and Almonds on Rock Recipes. It has few ingredients, but loads of flavour. It also had just the right amount of heat. My daughter Bridget approved too! Bridget and I were looking at the recipes on the Fisher Nuts site and the Ice Cream Pie caught her attention. She asked if we could make one. 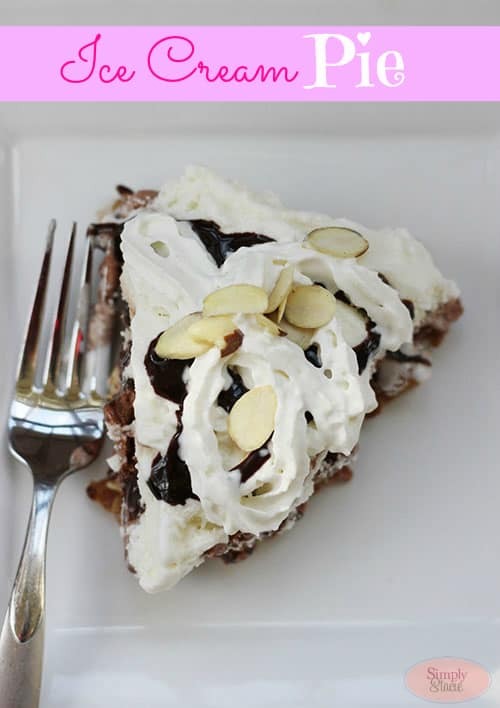 It was my very first Ice Cream Pie that I ever attempted and it was really very easy! The crust is crunchy mix of waffle cone, sliced almonds, honey and butter. It turned out beautifully! Change it up to suit your preference. Bridget likes chocolate and vanilla and doesn’t like caramel so we left that out of our recipe. I’ve used up all my Fisher Chef’s Natural Sliced Almonds, but I still have some of Fisher Chef’s Naturals Walnut Halves & Pieces and Fisher Pecan Halves to try with some new recipes. Fisher Nuts is partnered with Food Network Chef Alex Guarnaschelli, a recent winner on Food Network’s Iron Chef and regular judge on Chopped, and she has some delicious, new Spring recipes I’m looking forward to trying. They include Green Bean and Almond Salad, Strawberry Crostata with Walnuts and Baked Clams with Walnuts. Chef Alex has also shared 10 simple twists on cooking with nuts. I love her tip about adding ground nuts to your spice rub for meat. I’ll have to give that one a try once we pull out the barbecue! Just a few ingredients, but loads of flavour! Roast almonds in a shallow baking pan in a 350ºF oven for 5 minutes. Set aside. Blanch green beans in boiling salted water for 3 minutes. Drain. Then immediately put the beans in a bowl of ice cold water to stop the cooking process. Drain and set aside. Add butter and chili flakes to a sauce pan and heat over medium low to melt. 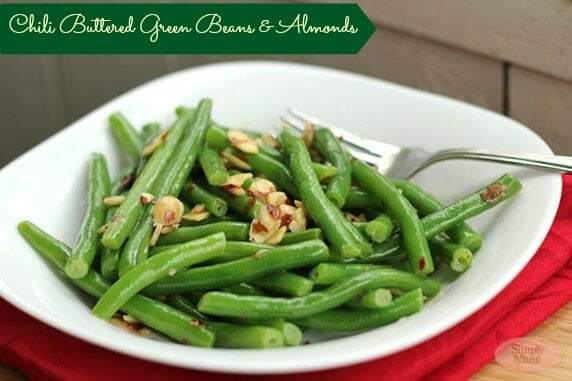 Add the green beans and almonds and toss. Saute for 2 to 3 minutes. Serves about 4 people. Thanks for the giveaway —> Crusty Crunch: Use nuts instead of breadcrumbs for added flavor and nutrition. 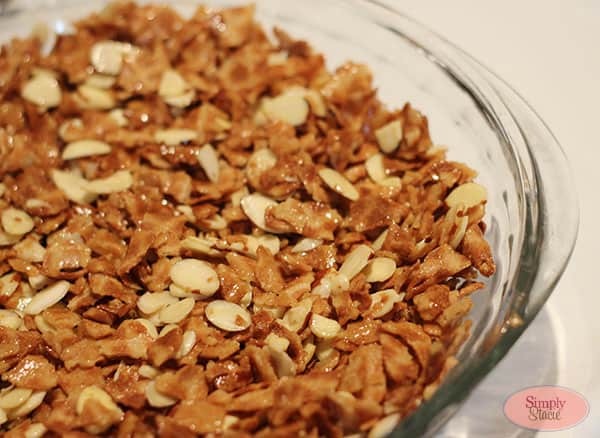 For example, grind some almonds and use them to make a crust for meat or fish. Flavorful French Toast – I can’t wait to try that with perhaps stuffed french toast. omg, I’m drooling. I am most interested in trying Savory & Sassy Sauces. 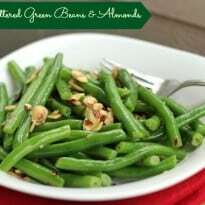 The green bean recipe is wonderful! Being winter, I had to used the canned variety – two cans should work just about right. I did omit the chili flakes. Even my pickiest of 5 children ate them and said they were good, better than my old recipe. Thank you so much. It’s already in the recipe box.